Browse: Home / automato – automating user-focused enumeration tasks during an internal penetration test. 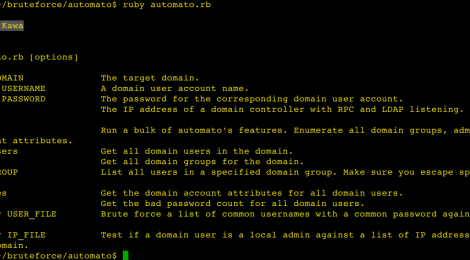 automato should help with automating some of the user-focused enumeration tasks during an internal penetration test. automato will create outfiles automatically for evidence preservation. ← xrdp is a tool for the X11 protocol exploiting unauthenticated x11 sessions.